Part of the plan to arrest dwindling BC Liberal support is to announce and re-announce program changes and capital projects, large and small. There is a flurry of proclamations happening now for health care and other projects. 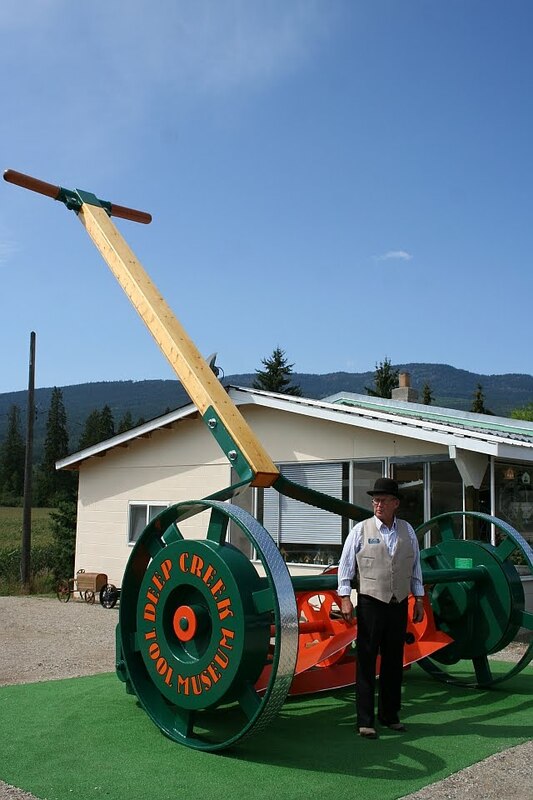 Friday, Christy Clark will be in Victoria presiding over introduction of new green technology for maintenance of the grounds of the BC Legislative Assembly. Redevelopment of St. Paul’s was also announced by the BC Liberals a decade ago. The concept plan then was to involve expansion and rebuilding of St. Paul’s Hospital where it stands. In 2003, the province changed direction and paid for a concept plan that abandoned the existing hospital in favour of a new P3 structure on Station Street. A firm decision was expected by fall of 2004. By early 2009, a team was continuing to argue, debate, plan and re-plan but the hospital project was still unclear. In October 2010, health officials announced plans for revitalization of the existing hospital, saying it could be complete by 2016. St. Paul’s VP Neil MacConnell said he hoped a business plan would be in place by 2011. Today, Christy Clark says work will begin immediately on a concept plan to redevelop St. Paul’s and a business plan will be ready by 2014. Last week, they announced a Request for Qualifications for a new North Island Hospital serving Comox region and Campbell River. A week before that, Liberals announced funding over three years for 190 nursing positions. What’s next, I wonder. Perhaps Blair Lekstrom will announce that BC Ferries plans to purchase new tie-up ropes for the Queen of Oak Bay. A couple of thoughts on your article Norm. First, it seems with the Liberals whenever they do open a new hospital, they only open a portion of it. The community is then left fighting with the same overcrowding problems and fighting to open the rest of the hospital. I'm not sure if only opening a portion of a hospital makes good economic sense. Secondly, if the NDP talk about wanting a new hospital or more nurses… it seems the media & public cry foul because they want to know who will pay for it and how much will taxes increase to cover the cost. Makes you wonder. You're correct, of course. I remember when VGH built a huge new facility and left most of it empty for years. There were no operating funds. A number of factors are at play IMO. Most importantly, Liberals are supported by contractors and developers who build things and want to keep building things. Don't underestimate Hochstein's influence over the last dozen years. Those same people don't want to pay taxes to operate public facilities. That's not part of their plan. Liberals want hospitals and other major projects to be P3s and they want those deals signed before they lose office. That way, the next government will be stuck with the terms or be faced with giant payouts. The same reason is behind BC Hydro putting out another private power call despite losing hundreds of millions on the existing ones. Surely you mean that Mr. Leckstrom plans to announce that BC Ferries is planning to begin working on a plan to purchase those ropes? …..after consulting with a friendly (and highly paid) consultant of course. “A politician thinks of the next election; a statesman of the next generation” …. Christy (family first) Clark only of the next photo op and sound bite, nothing of real substance, anything to try and appear to be a leader in control. The appearances and sound bites are wearing very thin and are not believed. A true leader listens to the people and represents their greatest needs, a bully will lie, start fights, name call, all the things Christy and her band of bandits have been doing for too many years. Well put Norm and the rest above. Seems the folks that like the government contracts, for all the big projects, collect from taxpayer funds, but do not want to particpate, in running them. Squeeze the money from the taxpayer then, stick it to the same taxpayer with inept governance. This cycle of “stupidity” must be brought to an end, quickly and decisively. As Bill, above said,” true leadership listens to the people and represents their greatest needs”. This concept has been completely lost, on the BC Liberals. They have'nt a clue, as to what integrity, responsibility and “principled governance”, mean. Any real hope for this province in the future, must rest with real democratic reform, against this type of “subversive” governance. While not proven, the alledged “intent” of this current government, is obvious to those that choose, to see it. Perception “is”, everything. This incarnation of the “free enterprise coalition”, is truly corrupt, and manipulating the institution of government, for its own ends. O/T: Warren Buckley, who for the last five years oversaw the renovation of BC Place Stadium and the completion of the Vancouver Convention Centre, has resigned as chief executive officer of the B.C. Pavilion Corp. It's nice to know that guy who did a smelly deal on the floatplane port, blew the budget on the convention centre and botched the unnecessary stadium roof refit was allowed to resign. Buckley – all by himself – is responsible for over a BILLION dollars of BC Liberal malfeasance. In the first year or two of the Campbell debacle and BEFORE the Vancouver Newspapers were co-opted by the Camp Liberals there was an op-ed in the Vancoouver Sun by someone from California warning BC residents about how public power was privatized in their State. How Hoover dam power was 'taken' over by private industry. How private electricity companies shut down their plants to create brown outs, panic, etc. etc. And how the private 'pirates' forced the rates into the sky. It also involved the refusal of the companies to pay BC for hydro power supplied at that time. Does anyone have a reference as I can't find one. It is like the article has vanished. The NDP, Conservative and Green party should put on notice, any companies, unions, corporations, that any contracts signed from now until the next election will not be binding contracts until an “elected by the people of this provine premier” is in the seat. Once the election is over, those contracts will be looked at and if they are good for the “citizens of this province” they can be concluded, if not back to negotiations. That should tie things up for awhile, and stop all the bleeding and sweetheart deals currently going beintg signed and sold off. Harper owns the Campbell/Clark BC Liberals and Boessenkool. Harper and Campbell worked as fast as they could, to dismantle and destroy BC, before Campbell got the boot. Campbell was very nicely rewarded for doing Harper's dirty work for him. Campbell too, twice cheated to win. Harper and Campbell are a dirty duo, with identical personalities. Harper has merged Canada in with Communist China. Canada is a cesspool of corruption. BC is the most corrupt province in Canada. Everything of value in BC, has been thieved and sold, and a lot of BC was given to Communist China….as is most of Canada's natural resources. As for the Campbell/Clark BC Liberals, elections are rigged and cheated in Canada. Campbell twice lied to be re-elected. Christy is already sucking up. People on E.I. or on Social Assistance, are permitted to earn $200.00 a month extra, with no penalty. Why didn't Christy get moving on the HST instead? That is what is killing Christy's family's first. Harper and the BC Liberals are well known to lie, deceive, be corrupt, use dirty tactics, dirty politics and cheat, when they know they can't win. This government, the Harper government, all the lies, deceit, corruption & insider deals and then, the weather. I'm thinking seriously of relocating to Costa Rica. At least I know the weather will be an improvement. And when there are no more logs, the oil's all gone and the only jobs are oily shore-line cleanups my kids and grandkids will have a place to visit.